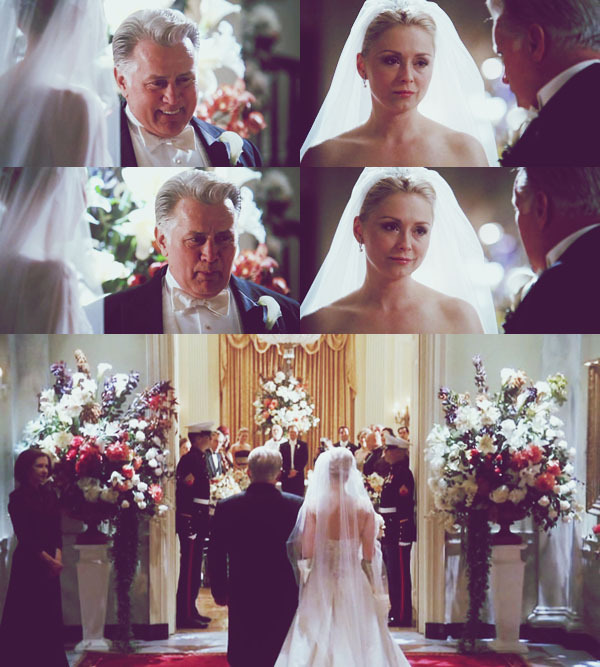 President and daughter. . Wallpaper and background images in the The West Wing club tagged: west wing martin sheen season 6 ellie bartlett. This The West Wing fan art contains bridesmaid, maid of honor, bouquet, corsage, posy, and nosegay. There might also be gown, mantilla, mantelet, and mantilla.